Welcome to the worlds greatest guide to Women's Knit Tops. Are you actually looking for Women's Knit Tops? Well, we hope you are because the reality is that you have found our Women's Knit Tops page. 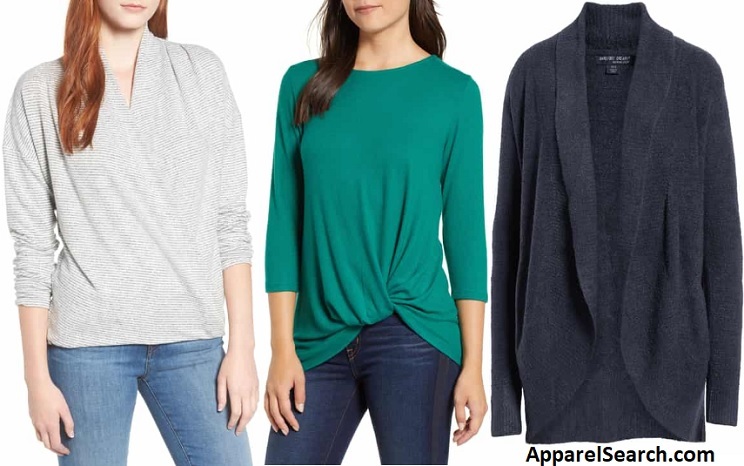 In this women's clothing section of the Apparel Search directory, you will find all sorts of interesting information regarding Women's Knit Tops. Apparel Search is a leading guide to fashion, style, clothing, glam and all things relevant to apparel. We hope that you find this Women's Knit Tops page to be helpful. What are tops? Tops include shirts & sweaters. Knitted fabric is a textile that results from knitting. The yarn in knitted fabrics follows a meandering path (a course), forming symmetric loops (also called bights) symmetrically above and below the mean path of the yarn. These meandering loops can be easily stretched in different directions giving knit fabrics much more elasticity than woven fabrics. What ever style of top you are wearing today is in fashion. A mix of knits adds edgy style to any wardrobe. more advanced knitting techniques create a surprising variety of complex textures. Jersey is a popular fabric for knit tops. 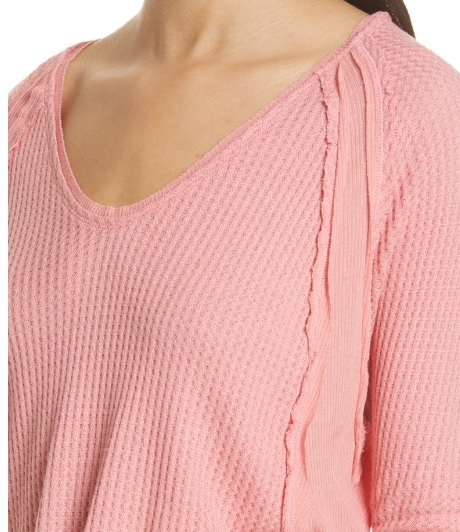 However, knit tops have a very wide variety of options. If you want to be even more stylish, you should wear your Women's Knit Tops. Rib knit, interlock knit, jersey knit, are only a few of the many options for women's tops.